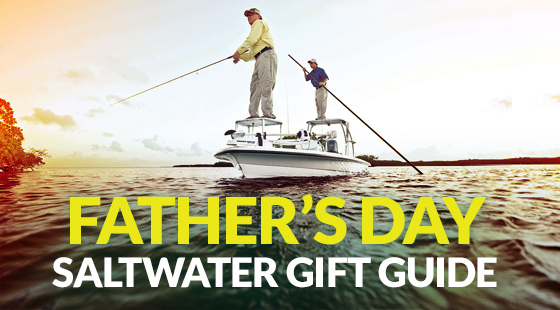 This Father’s Day, raise your gift-giving game and treat dear ol’ Dad to a day of adventure at sea and premium saltwater gear from Rapala®, the No. 1 choice of anglers worldwide for more than 80 years. Whether he’s inclined toward in-shore action or a day of deep-sea trolling, there are few better ways to celebrate Father’s Day than taking the old man out on crystal blue ocean waters for a day of fish-catching adventure and bonding with his favorite first mate — you. When he’s not busy reeling in his next trophy catch, bust out the latest and greatest saltwater gear for a few surprising gifts to make the day together a complete success. Help Dad find fish in the elusive pockets where big fish lie in wait to ambush their prey with a soon-to-be favorite inshore lure: the Rapala X-Rap Twitchin’ Minnow and X-Rap Twitchin’ Mullet. Since these dynamic lures first hit the market, they’ve quickly become go-to baits for shallow-feeding inshore fish. Both perform with an aggressive, side-to-side action ideal for an attention-grabbing walk-the-dog presentation sure to trigger the attack instinct in a wide variety of popular saltwater species. 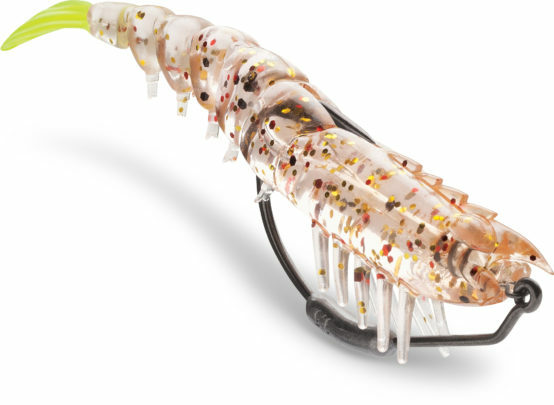 Both lures feature translucent bodies, 3D holographic eyes and come in 12 effective color patterns. The Twitchin’ Mullet weighs 7/16 of an ounce and is armed with two 2/0 VMC® Coastal Black™ 1X Inline Single Hooks. The Twitchin’ Minnow comes in two sizes. Size 10 weighs 1/2 ounce and has two 2/0 VMC Coastal Black 1X Inline Single Hooks; size 12 weighs 15/16 of an ounce, with two 4/0 VMC Coastal Black 1X Inline Single Hooks. For serious saltwater anglers, the No. 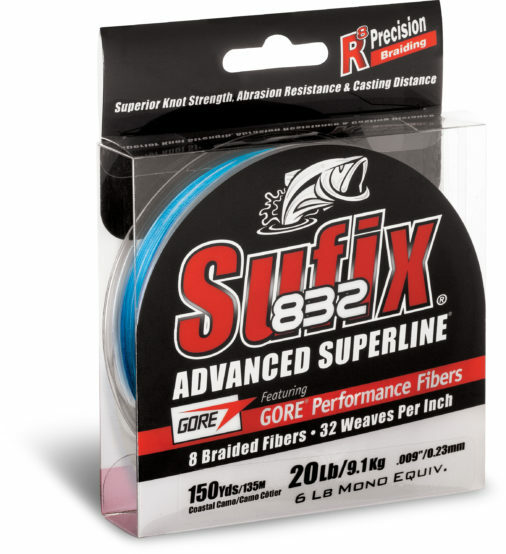 1 braid of choice for boating saltwater fish of all species and sizes is Sufix® 832® Advanced Superline®. In a case of making a good thing even better, Sufix 832 is now available in the new Coastal Camo color, a blue-pattern option for fishing ocean-blue water. The new Coastal Camo color isn’t just sharp-looking, it’s also super strong, sensitive and abrasion-resistant thanks to advanced braiding and fiber technology. Sufix 832’s proprietary braid of seven HMPE and one GORE® fibers weaved 32 times per inch creates a nearly unbreakable superline unlike any other on the market. Available in strengths up to 80-pound test, it offers increased sensitivity to feel light bites, the ability to make long casts, and easy hook-sets. It doesn’t stretch, so when Dad sets a hook, a fish is pegged almost immediately. Find Sufix 832 Advanced Superline in new Coastal Camo at your favorite sporting goods retailer in spools ranging from 150 yards to 3,500 yards. This Father’s Day wrap up a set of premium fillet knives and tools from the Rapala® Salt Angler’s collection for a gift that will make Dad’s future fillet chores a breeze. Expertly crafted to withstand corrosive saltwater conditions, each item from the Salt Angler’s collection is built with durable stainless or carbon steel and features ergonomic, co-molded handles to provide your old man with added comfort. Rapala Salt Angler’s Fillet Knife delivers a razor-sharp edge that will make quick work of demanding filleting chores. With Storm® 360GT Coastal baits tied on, Dad can fish most everywhere and catch anything, including the most coveted saltwater species. Perfect for both novice and experienced saltwater anglers, these baits can’t be beat when chasing snook, tarpon, redfish and more. The Storm 360GT Coastal lineup includes five ultra-realistic soft body profiles — the 360GT Coastal Shrimp, Largo Shad, Mangrove Minnow, Manta Tail and Trick Tail — each designed to perfectly match common forage species. The bait is available with a VMC® Coastal Black™ weighted swimbait hook or boxer-style jig head, so you can gift Dad options for two ultra-effective tactics. These fish-catching machines are built to last and engineered to mimic real-life action. Each bait is paired with a convenient rigging system to maximize action and increase versatility. There are countless ways for Dad to fish with these bad boys. This year, let Dad strut his stuff in new threads that offer comfort, style and functionality from Rapala® and Respected Rapala Brands — perfect for lookin’ good in all those photos with big fish he’ll catch with your other Father’s Day gifts. On or off the water, when it comes to Rapala, performance is the name of the game. Choose from a wide range of premium items including T-shirts, long-sleeve shirts, sweatshirts, hats and more, all designed to help him rock his style anywhere. 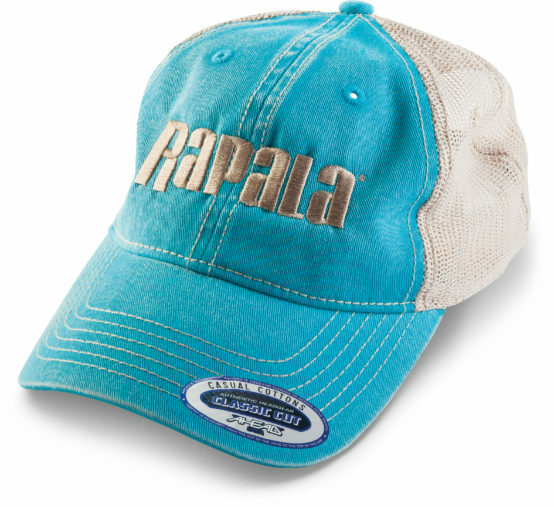 Sure to be an instant favorite the first time he puts it on, Dad will go nuts for a new Rapala Classic Cap emblazoned with the brand’s iconic logo. These stylish caps come with a breathable mesh back for added comfort and an adjustable plastic snapback to ensure the right fit. Surprise Dad with this can’t-miss gift in the new Coastal Blue Tan color for a cap that matches his favorite ocean-blue waters. With overnight shipping available (if ordered before 1 p.m. CDT), you can have these gifts in-hand in no time. Stop by your local supporting goods store or visit rapala.com to purchase these Father’s Day gifts. Be sure to check out Rapala on Facebook for special offers, tips and techniques, new product updates and much more. This entry was posted in Rapala, Sufix. Bookmark the permalink.